Libraries are sneaky, crafty places. If you walk into one, things may never look the same when you walk out. Libraries are dangerous places. If you open your mind in one, you may be forever changed. And, more mundanely, university libraries are places that employ a lot of work-study students. I was one of them at Ganser Library at Millersville University. Although I’ve always been a bookish lad, when I started as a reference shelver at Ganser I wasn’t thinking of the job as anything more than a way to pay the rent while I pursued a degree in mathematics. And, of course, there were decidedly limits to how much fascination I found filing updated pages in a set of the loose-leaf CCH tax codes. While some of the cases I skimmed were interesting, I can safely say that a career in tax accountancy was not in my future, either then or now. Did I mention that libraries are crafty? Naturally, much of the blame for that attaches to the librarians. As time passed, I ended up working in just about every department of the library, from circulation to serials to systems, as if there were a plot to have me learn to love every nook and cranny of that building and the folks who made it live. By the time I graduated, math degree in hand, I had accepted a job with an ILS vendor, directly on the strength of the work I had done to help the library migrate to the (at the time) hot new ILS. While writing this post, it has hit me hard how much I owe an incredible debt of gratitude to my mentors at Ganser. To name some of them, Scott Anderson, Krista Higham, Barbara Hunsberger, Sally Levit, Marilyn Parrish, Elaine Pease, Leo Shelley, Marjorie Warmkessel, and David Zubatsky have each taught me much, professionally and personally. To be counted among them as a member of the library profession is an honor. Today I have an opportunity to toot my horn a bit, having been named one of the “Movers and Shakers” this year by Library Journal. I am grateful for the recognition, as well as the opportunity to sneak a penguin into the pages of LJ. Why a penguin? In part, simply because that’s how my whimsy runs. But there’s also a serious side to my choice, and I’m happy that the photographer and editors ran with it. 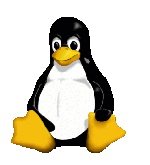 Tux the penguin is a symbol of the open source Linux project, and moreover is a symbol that the Linux community rallies behind. Why have I emphasized community? Because it’s the strength of the library open source communities, particularly those of the Koha and Evergreen projects, that inspire me from day to day. Not that it’s all sunshine and kittens — any strong community will have its share of disappointments and conflicts. However, I deeply believe that open source software is a necessary part of librarians (I use that term broadly) building their own tools with which to share knowledge (and I use that term very broadly) with the wider communities we serve. The recognition that LJ has given me for my work for Koha and Evergreen is very flattering, but for me it is at heart an opportunity to reflect, and to thank the many friends and mentors in libraryland I have met over the years. Thanks, and may the work we share ever continue. A pause to reflect by Galen Charlton is licensed under a Creative Commons Attribution-ShareAlike 4.0 International License. Bestiary of Monstrous Data #2: I’m not dead yet!